Did you know that there is a more efficient way to zoom on a Macbook? 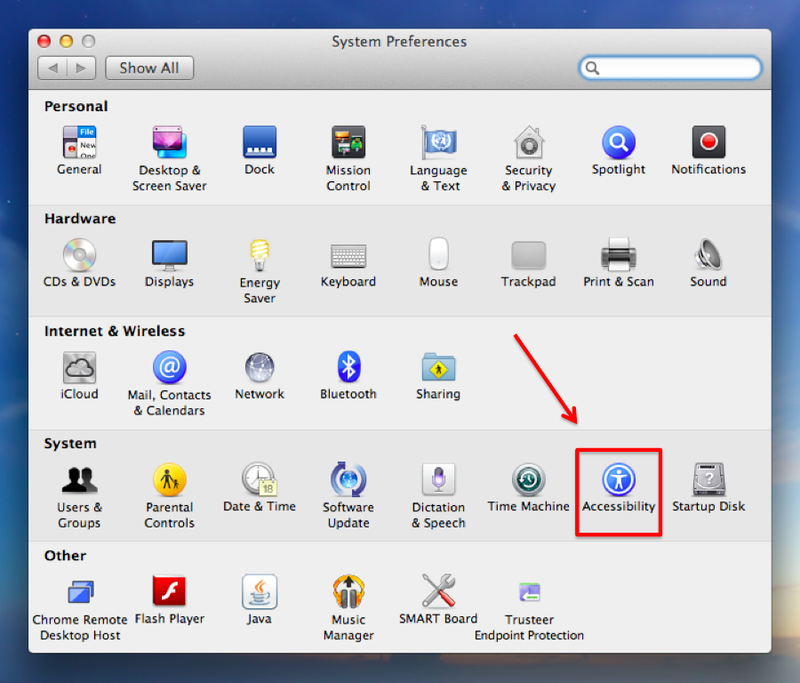 All you have to do is turn on this feature in your System Preferences. Most of us have probably turned on all of our Zoom shortcuts on our Macs by going into our System Preferences, selecting Trackpad, and checking the boxes under Scroll & Zoom (see image below). However, a better (and more efficient) zoom is available. In order to activate this, you will have to go to your System Preferences, but select Accessibility instead (see image below). 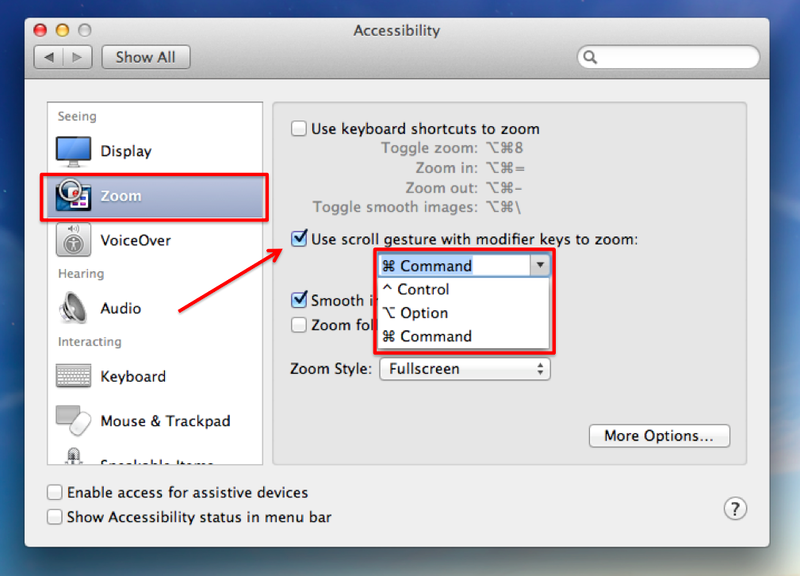 Next, select the Zoom tab on the left and check the box that reads, "Use scroll gesture with modifier keys to zoom". Then you have the choice of selecting either the Command, Control, or Option key as your modifier key to control your zoom. Now, when you scroll with two fingers on your trackpad, while simultaneously holding down your selected modifier key, you will be able to zoom in and out on your Mac. 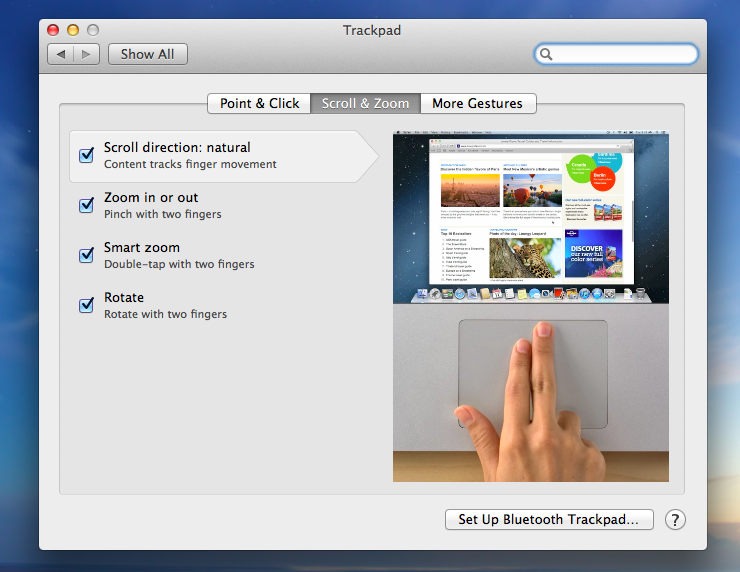 The next time you have to zoom on your Mac, consider turning on the "Scroll Gesture with Modifier Key". Consider using this feature when you are giving demonstrations or presentations so that your audience can see your demo and read the text during your demo more easily. Consider turning on this feature for students who have impaired vision. Consider turning on this feature if you are using an 11-inch Macbook Air in order to maximize visibility.